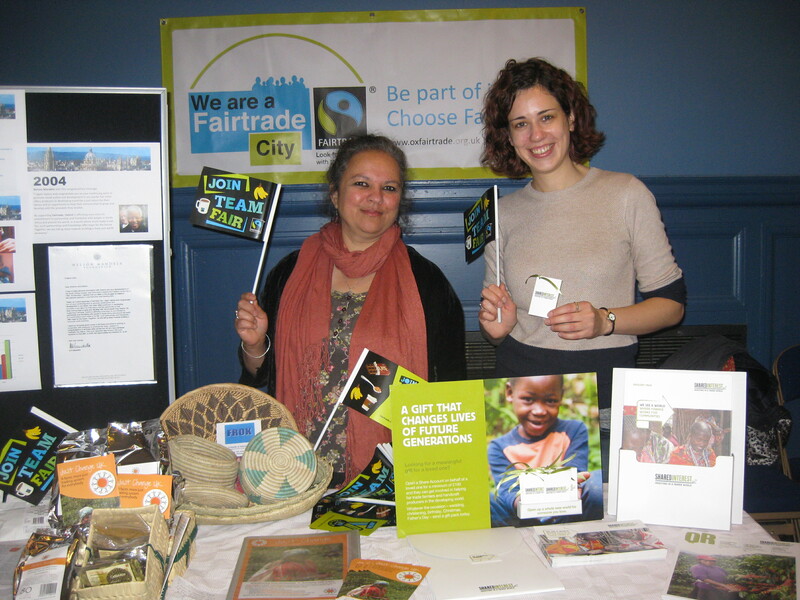 Please do contact us if you would like your Fair Trade event listed here. We look forward to hearing from you. Details of OFTC Steering Group Meeting can be found here. Oxford Fair Trade Coalition joins forces with the Oxford Oxfam Group this year to turn the iconic One World Fair into a Fair Trade Festival as well. There’ll be the usual fabulous stalls in the main hall… and now there will also be Fair Trade stalls, activities, talks, games, exhibitions in the historic Assembly Rooms – along with delicious home-made food and live music. 10 am – 10.20 am Oxfam’s Behind the Barcodes campaign– how you can get involved in urging supermarkets to be fairer. Speaker to be confirmed. 10.30 am – 10.50 am “What is Fair Trade?” Have you ever wondered what Fair Trade really is and why are there two spellings (Fair Trade and Fairtrade?) What does the logo mean? Is it a certification system, a way of doing business ethically – good for people and the planet – a philosophy or a mixture of all three? Presented by Carol Wills Honorary Member, WFTO. Carol was the Chief Executive of IFAT (now called the Word Fair Trade Organisation) and was the last Chair of the Oxford Fair Trade Coalition. 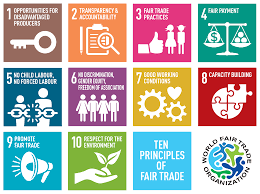 11.00 am – 11.20 am “But what can we do?” Becoming Fairtrade for Colleges, Schools and other groups. This talk will run through the opportunities that being a Fairtrade organisation can bring you. With a focus on educational institutions we will look at what Fair Trade means, what the process might be and what the challenges are. Presented by Bart Ashton, Domestic Bursar Lady Margaret Hall, a College of University of Oxford. 11.30 am – 11.50 am WFTO Fair Trade Tartan and Value added Mzuzu Coffee. With a focus on Fair Trade Tartan and Mzuzu coffee we look at the impact the WFTO Guaranteed Fair Trade product label has on Oxford University. (Pictured above) LMH was first accredited as ‘Fairtrade’ in 2011 creating sustainable economic livelihoods for artisan craft producers, through an audited WFTO supply chain. 1.00 pm – 2.00 pm Fair Trade Tastings! Come and try some fair trade chocolate, chutney’s, teas and more! Divine Chocolate believes in sustainable farming and in sustainable livelihoods for those who provide the ingredients, which is why every bar is printed with the official Fair Trade label. 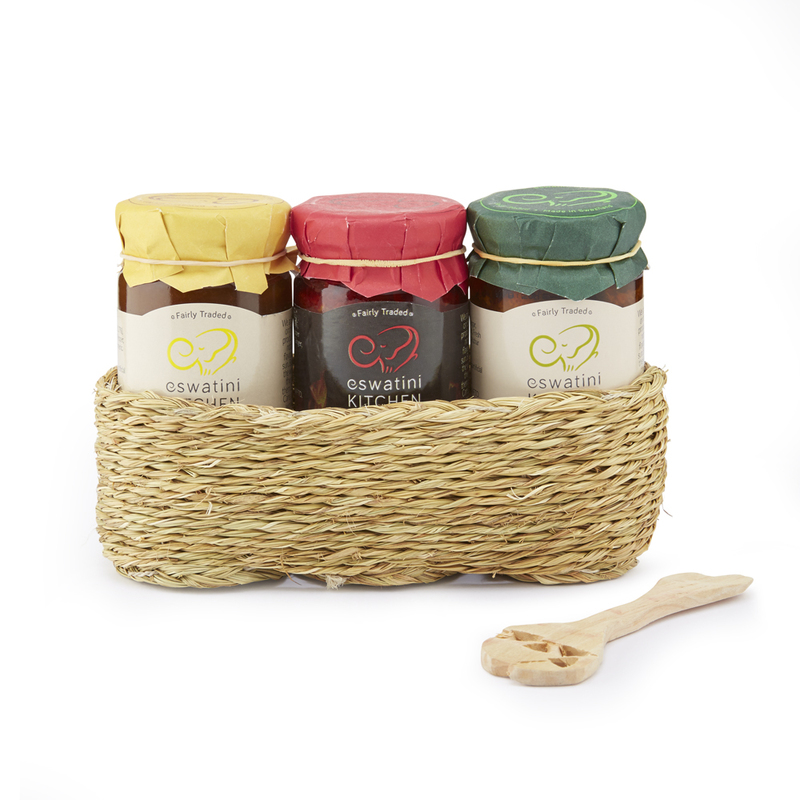 Many ingredients go into the making of a chutney. Hear stories from producers of some of the raw ingredients and Eswatini Kitchens, chutney, jam and sauce makers extraordinaire. There will be chutney and jam to taste … and some recipes, as well. Presented by Maranda St John Nicolle, Director of Christian Concern for One World www.ccow.org.uk, which seeks to help people love God and neighbour in a globalised world, with a focus on fairness in trade, care for the environment, and support for refugees. Taking a leap with passion! 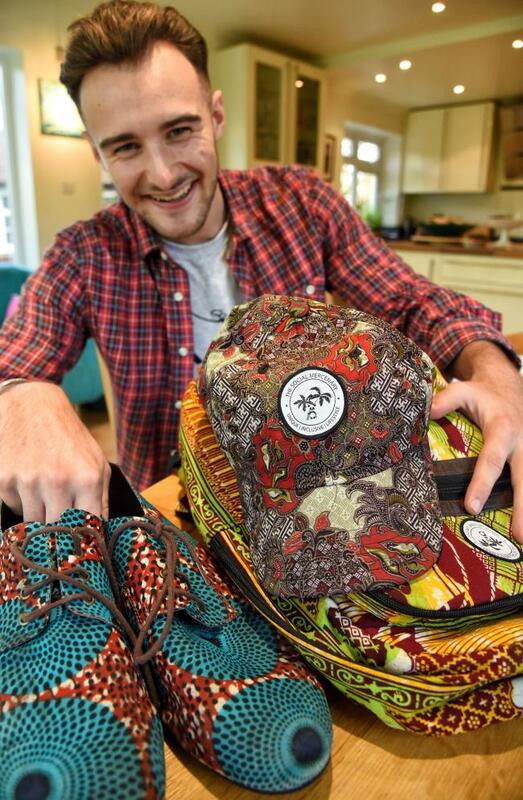 How did a passion to help others, create a sustainable business model that helps others and promotes West African fabrics. Tea. A lovely, comforting, traditional “British” drink! But what lies behind that image of smiling Indian tea pluckers? Find out the surprising, sometimes sad, truth behind your favourite cuppa – and what you can do to make it a fairer drink. Presented by Sabita Banerji, Oxford Fair Trade Coalition Chair and ethical trade consultant . What does Fair Trade mean for Human Rights? 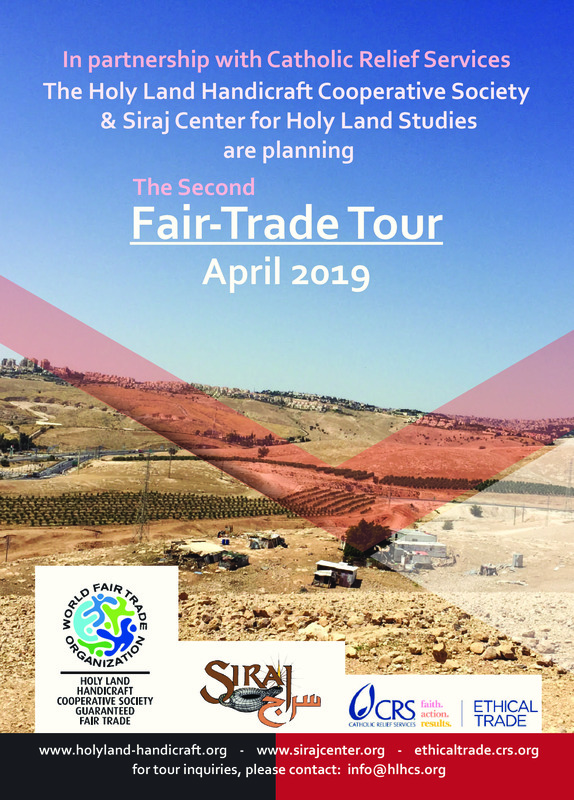 Following the first trip to Palestine by OFTC members, Carol Wills and Elizabeth Laskar, and the enlightening talk by fair trade producer Nawal Slemiah, we are pleased to share details from Catholic Relief Services of the second Fair Trade Tour. Congratulations to Fairtrade at St Michael’s – the fair trade shop in the heart of the City – on their 15th anniversary! An amazing achievement and a tribute to the hard work and dedication of all their volunteers, staff and suppliers and to the loyalty of their customers. You are invited to a party to celebrate. There will be plenty to interest and entertain all ages with a variety of fair trade stalls plus music, poetry, displays, craft activities, board games, refreshments and, of course, cake. Join us to celebrate the renewal of Oxford’s status as a Fairtrade City & to help launch the new International Fair Trade Charter by the World Fair Trade Organisation and Fairtrade International. The new Fairtrade City certificate will be presented to the Lord Mayor of Oxford. Fairtrade tea, coffee and biscuits will be served. Please contact chairoftc@gmail.com if you would like to attend. A talk and discussion with Sabita Banerji, OFTC Chair, Bart Ashton, Bursar of Lady Margaret Hall, and Michael Mckinley of Shared Interest. How is Fair Trade faring now in a changing world? £5 charge for URC building fund. An illustrated lecture by former OFTC Chair, Carol Wills. Carol is also an Honorary Member of the World Fair Trade Organisation. Lecture followed by tea and discussion. In May 2018, Carol Wills and Elizabeth Laskar went on the first ever Fair Trade tour of Palestine, organised by the Holyland Handicrafts Cooperative Society and the University of Bethlehem Fair Trade Resource Centre, and met Nawal Slemiah at the Women in Hebron Cooperative. They will speak about the journey they made. Nawal will talk about the work the cooperative does to empower Palestinian women and keep Palestinian culture and traditional handicrafts alive.